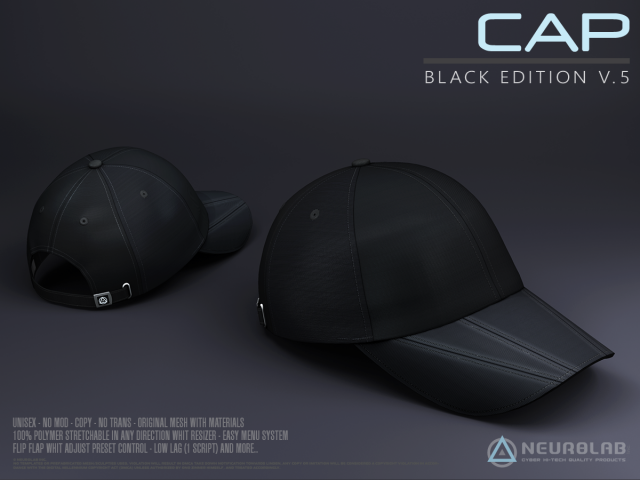 Neurolab is proud to present to you the Mesh Cap Custom! The cap are supplied with a HUD customization “Smart Hud,” which allows you to customize 4 different zones with an infinite number of combinations. 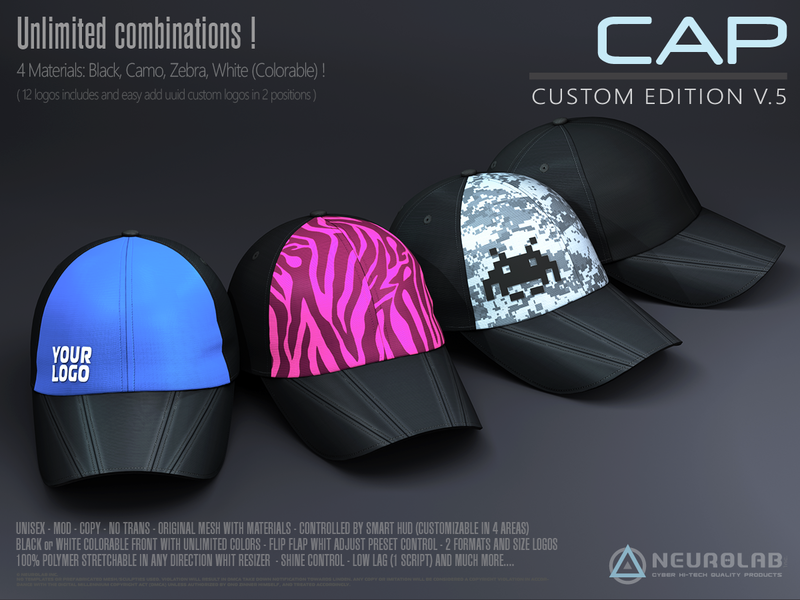 Includes 12 different logos and easy UUID menu for adding your custom logos into two areas and choice of formats. • 4 Front Materials: Black, Camo, Zebra, White (Colorable)! • 100% polymer stretchable in any direction resizer system for the perfect fit! fast and easy! perfect for all avatars, children and petites avatar! 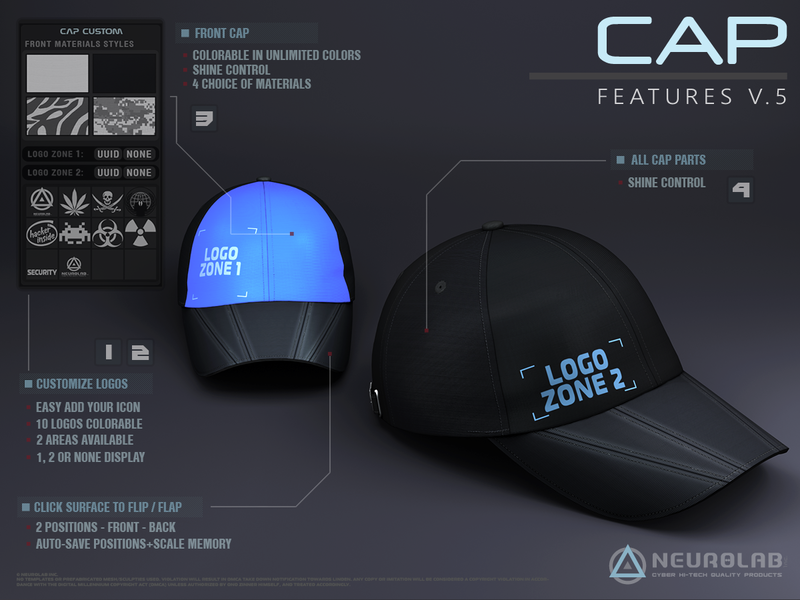 – Click to front cap to open “Menu setting”, then adjust your size, and positions. Deletes the script in product. You can not customize them using the SmartHUD and can not use the menu. use the Scale menu to resize to your size, then edit and move the cap. When finished, touch the visor to switch to Back position. When finished, touch the back to return to front position. 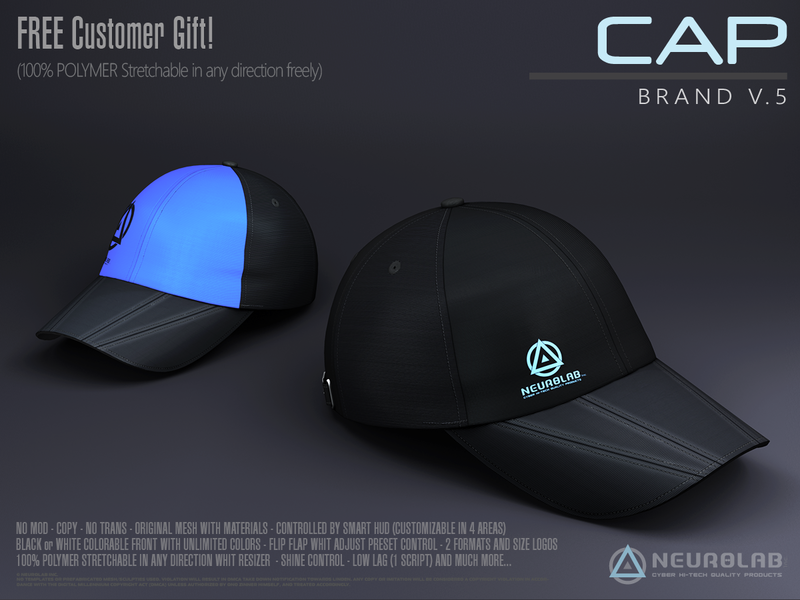 – Wear the Smart HUD, Click to “HUD CUSTOM” button to the Product menu for connect product and customize..
– To customize design, open Option Tab. here you can adjust speeds and textures.